It's an unfortunate truth that there are people out there who mean to do you harm, whether they want to break in and steal belongings from your home or they want to pick your pocket on a crowded street. You don't have to be a passive victim, and those who take an active role in crime prevention are much less likely to be the victim of a crime. Here are a few crime prevention tips that you can exercise to keep you from becoming an easy target. This tip applies whether you're relaxing at home at night or you're out on the town. Criminals are always looking for the easiest target, so it pays off to be vigilant at all times. People who are looking down at their phones while walking or who have earbuds in are often great targets for would-be criminals or pickpockets, as they are not fully aware of their surroundings. If you absolutely must walk around wearing earbuds, try buying them in a color other than white so they are not as noticeable to criminals looking for a mark. Forming relationships with your neighbors is a great way to reduce the potential for crime in your home. As they say, there is safety in numbers, and neighbors who know you will be more likely to alert the police if they see suspicious behavior around your home. You can even get your neighborhood organized and start up a neighborhood watch. A study by the U.S. Department of Justice found that neighborhood watch programs can reduce crime by up to 16%. Burglars are always looking for the easiest target, so the more secure your home is the less likely it is that they will attempt a break-in. Keep all of your windows and doors are locked and if you have a garage make sure the door is properly secured. If you have sliding glass doors make sure you have curtains so that potential burglars can't easily see into your home. Finally, make sure your valuables are hidden away and not left out in plain sight. This one may sound odd, but it really pays off. 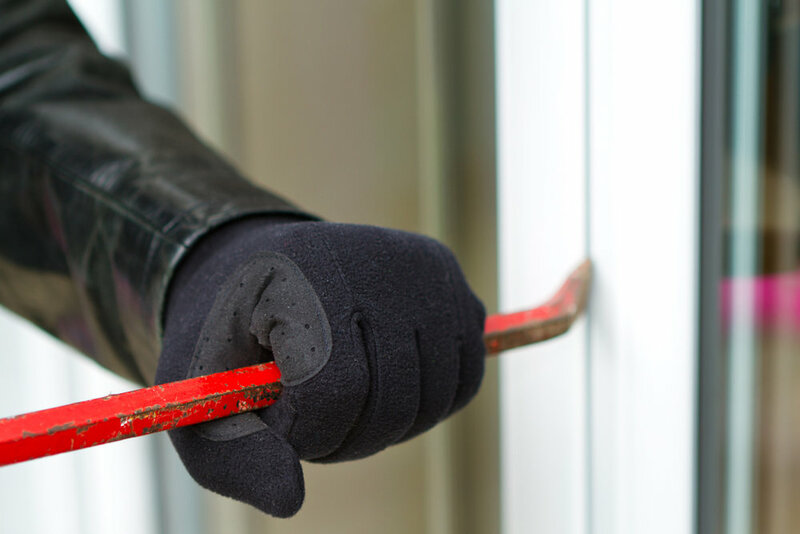 Burglars will often "case" homes, probing for weaknesses before they actually decide to commit to the burglary. Secure your doors and windows like you normally would, then go outside and try to gain access to your home. If you're unable to find any vulnerabilities, then you've done a good job of securing your home. If you do find a way that a burglar could potentially gain access, you can focus on that area and secure your home even further. There's only so much you can do by yourself, so if you want to know your home is as protected as possible you need to install a home security system. The mere fact of having a security system has been shown to decrease the potential for a break-in. There is a misconception that security systems are only for the wealthy, but modern home security systems are actually rather affordable and the peace of mind they provide is priceless. Please contact us at J&J Security today to learn more crime prevention tips and to check out some of our affordable home security plans.